The Catskill Mountains present unique challenges while performing survey field work. Steep slopes, thick forests, seasonal temperature fluctuation, and precipitation amounts result in complications that are unique for the State of New York. Winters are six months long, spring brings blood sucking bugs, summer is hazy and hot, and we encounter hunters and spooked game in the fall. At Catskills Region Surveying Services we produce a safe work environment for our employees and property owners. Daily tail gate safety meetings, chainsaw training classes as well as communication tools help us to work safely and efficiently. We utilize G.P.S., where appropriate. Traditional survey equipment involves reflectorless total stations and wireless data collection. Catskills Region Surveying Services utilizes Civil 3D 2016 for mapping and deliverables and to provide many engineers and architects mapping for construction projects. Transportation on wooded or snow-covered sites is provided by UTV or snow machine. 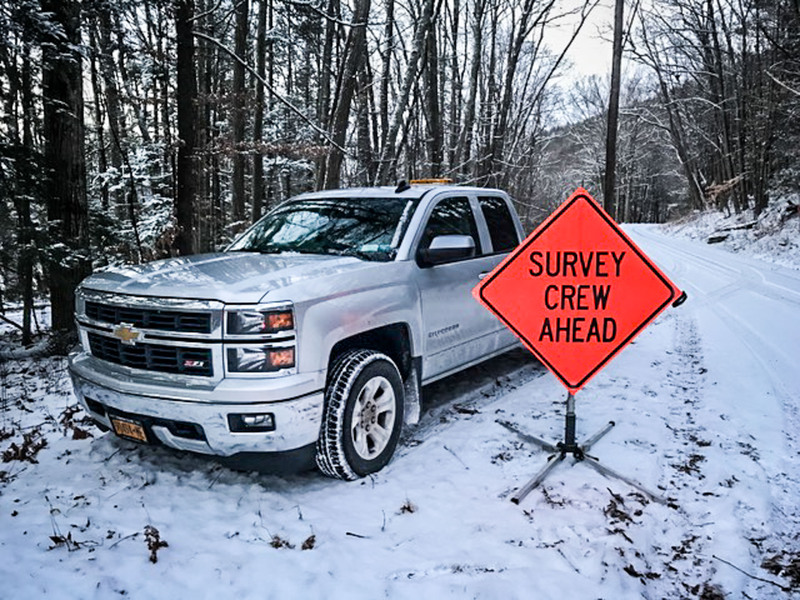 With 30 years of survey experience in the Catskill Mountains, we know the most efficient ways to produce survey information.